Friends of Family Farmers (FoFF) is a leading nonprofit working to support socially and environmentally responsible family-scale agriculture in Oregon. Working with a broad coalition, FoFF is campaigning to strengthen oversight of factory farms in the state, and seeks a talented and strategic rural organizer to help us take this work to the next level. 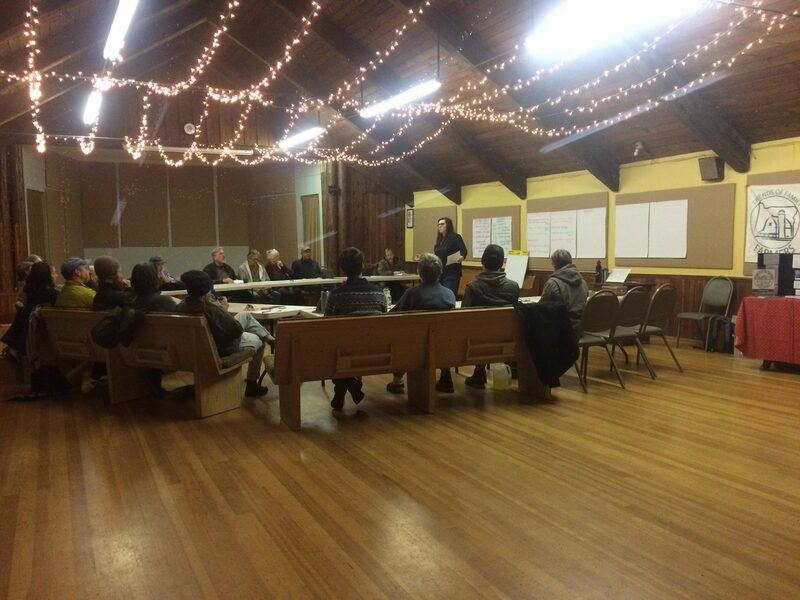 The new organizer will work to strengthen existing partner and coalition relationships, engage in extensive outreach and public speaking to help build our presence in the state, and cultivate and work with family farmers and rural residents to strategically move FoFF’s campaign work forward. Oregon agriculture is at a crossroads. The state is facing potentially widespread expansion of huge industrial livestock operations, which threaten family-scale farms, increase air and water pollution, and endanger workers and rural quality of life. FoFF is an Oregon leader in opposing this industrialization of our farms and rural communities at the state and local level. The organizer will support and help implement our coalition campaign work on factory farming issues to build widespread support for and advance meaningful reforms in state law and regulatory oversight of the factory farm industry. The new staff person will: 1) participate in statewide campaign work to strengthen oversight of factory farms; 2) help the organizing effort to stop the negative impacts of factory farming on family farms, the environment, and communities; and (3) build family farmer, local government, and other support for state action and expanded local control. This is a full-time position starting when filled and running at least one year. The ideal candidate will work from home in the South Coast, Willamette Valley, or North Coast region of the state, but FoFF may consider other locations in Oregon for the right candidate. Work closely with FoFF policy staff. Build a strong base of organizations and individuals in support of our campaigns. Participate in coalitions on campaign issues. Implement grassroots organizing and public education campaigns. Implement strategic campaign plans through field organizing, online, and media strategies. Travel to target areas to motivate local organizations and individuals through public speaking, media appearances, strategic planning and training, and meetings with state and local governments. Coordinate events such as, but not limited to, panel discussions and film screenings. Maintain familiarity with a diverse set of issues and research products, and respond to information requests from activists, coalition members, and media. Develop educational materials such as factsheets, action alerts, web site content, and newsletter articles on various campaign issues. Maintain activist database and email lists to effectively communicate to members and supporters. Education: College degree or equivalent experience required. Experience: At least two years experience in advocacy on public policy issues, grassroots/field organizing and experience working or living in a rural community. Knowledge of Oregon’s agricultural community, community organizing, advocacy techniques; factory farming issues; working with the media. Knowledge of water and other environmental issues a plus. Skills: Excellent written and oral communication skills; strong interpersonal and planning; excellent organizational skills. Knowledge of online activism and email listservs. Capabilities: Ability to think creatively and quickly to respond to and take advantage of breaking news; demonstrated leadership capability; ability to work well with a wide variety of people, navigate coalition dynamics effectively, and coordinate diverse tasks; ability to present technical concepts to a mass audience; can-do attitude and commitment to public interest work; work well under pressure, handle multiple tasks at once, and adapt to changing situations on a daily basis; high level of independent judgment. Conditions: Strong interest in and commitment to promoting the goals of the Coalition. Long hours and extensive travel possible. Must be able to work from home. Applicant must be legally eligible to work in the United States and must have and maintain a valid Oregon drivers’ license and clean driving record. Competitive salary, depending upon experience. FoFF offers an excellent benefits package that includes health insurance and paid time off. Please send a resume, cover letter, writing sample, and three references in one document to jobs@friendsoffamilyfarmers.org, noting “Oregon Organizer” in the subject line. Deadline: November 19th, but applications will be reviewed on a rolling basis. Incomplete applications will not be considered. Friends of Family Farmers strives for a diverse work environment and encourages women, people of color, LGBTQ individuals, and differently-abled people to apply.